Price: $12 adults, $8 seniors/students. GC faculty/staff/students free with ID. 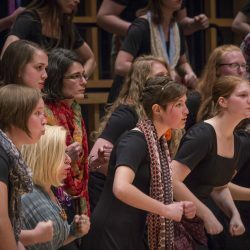 The Goshen College Choirs will present their annual EARTHTONES concert of world choral music in Sauder Concert Hall. Performing are the GC Chamber Choir and Men’s Chorus, directed by Joshua Boggs, and Voices of the Earth, directed by Debra Detwiler. 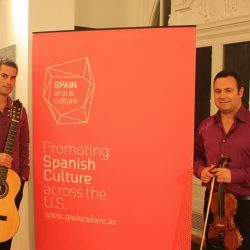 The program will feature songs from a wide variety of cultures and sung in multiple foreign languages. Goshen College senior music major Lukas Thompson will present his Senior Voice Recital in Rieth Recital Hall. He is accompanied by Luke Norell. Admission is free and the public is warmly invited. A reception will follow in the Music Center lobby. Goshen College senior music major Anne Buckwalter will present her Senior Piano Recital in Rieth Recital Hall. Admission is free and the public is warmly invited. A reception will follow in the Music Center lobby. Goshen College music major and senior Lien Nguyen will present her Senior Piano Recital in Rieth Recital Hall. Admission is free and the public is warmly invited. A reception will follow in the Music Center lobby. Price: $8 adults, $6 seniors/students. GC faculty/staff/students free with ID. 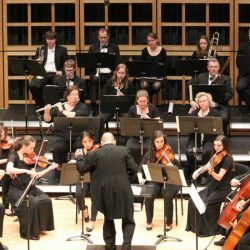 The Goshen College Symphony Orchestra and Wind Ensemble, directed by José Rocha, will present their spring semester concert in Sauder Concert Hall. The concert will be highlighted by a performance of Beethoven’s Violin Concerto in D Major, featuring GC professor and violinist Solomia Soroka. The GCSO will also present a movement from Tchaikovsky’s Symphony No. 2 “Little Russian.” The Wind Ensemble will present works by Prokofiev, Markowski, and Yozviak.